April as National Volunteer Month found our Center impressively tallying 1347.5 volunteer hours through April 2014. From May through December 2013 we volunteered 2026.25 hours. And those are just the hours we logged in! To recognize the 108 seniors who volunteered some of the 3373.75 hours the past year for the Westosha Senior Community Center, Director Debbie and the Board hosted the first Annual Volunteer Appreciation Luncheon on June 14, 2014. Themed “Bright Stars,” the catered event drew 60 volunteers plus family. A local youth group served guests Richard Dubovik’s delicious barbecued chicken and pulled pork with plenty of sides to satisfy the crowd. Board of Directors Chairman Vince Lightfoot shared a slideshow of the many events held at the center in the last few years. THANK YOU to all who volunteer in so many ways to keep our center running and busy with a rich variety of activities for seniors and the community! Read the Kenosha News article and enjoy a few more pictures of the event. 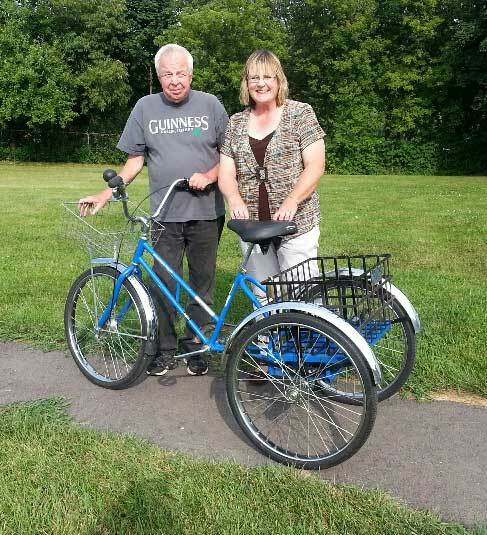 THANK YOU to Richard Laycock and daughter Tina Rohleder from Union Grove, for acquiring the two tricycles for the Westosha Senior Center. Tina secured the bikes as an employee of SC Johnson Wax. 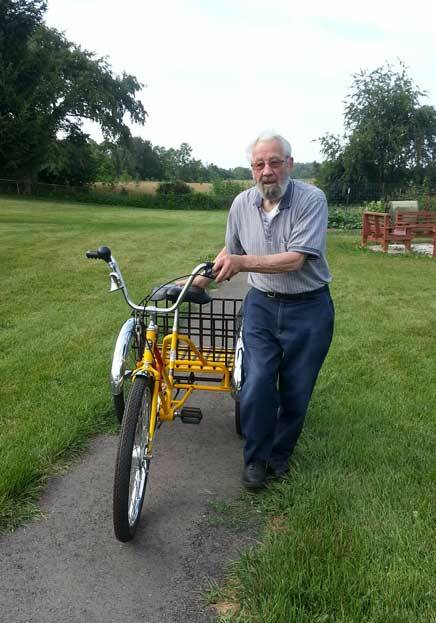 One of the Senior Center’s newer members, Richard had the bikes worked on at a local bike shop to make sure that they were safe to ride. 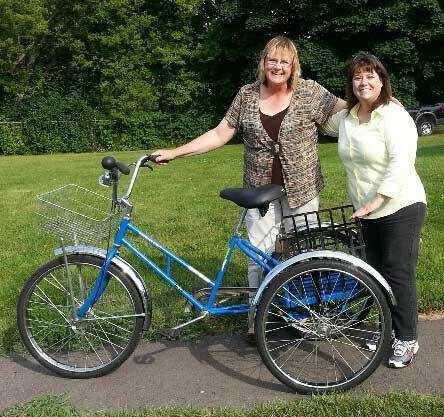 Our seniors are thrilled to get exercise and fresh air riding the perimeter of the Center’s property on our existing walking path. 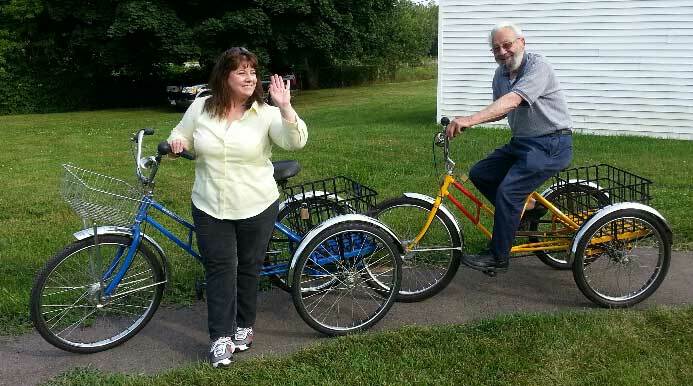 Richard Laycock with one of the Center’s new trikes.